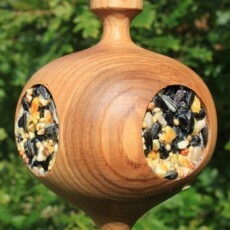 Turned in Ireland from Irish hardwood every Seedpod Bird Feeder is individual. It was designed as a safer and more attractive way of feeding garden birds the high energy fat and seed mix they need to get them through the long winters. 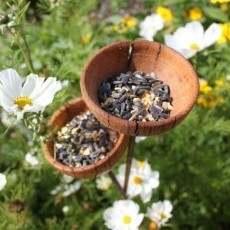 The Seedhead Bird Feeder has been designed to stand in flowerbeds and borders or in flowerpots. The natural oak of the feeder blends beautifully with garden plants, while adding a sculptural element to any outdoor space. 100% natural Irish Oak chips for use on gas or charcoal barbeques. They add a distinct oak smoked flavour to barbequed meat or fish. This beautiful crab fishing line will provide hours of entertainment for all the family. 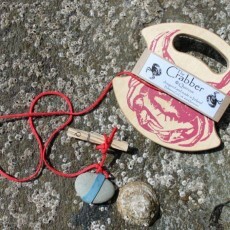 Made from fsc birch ply and hand printed in a colourful crab design, it comes complete with a ruler to compare your catch.